First, our computer simulations show that the presence of a very confident person (let’s call him an expert) in a group of lay people has a strong attractive power on the others. Most of the time, simulated group discussions end up with the entire group following the expert’s opinion. The second mechanism is more subtle. In the absence of experts, the group tend to converge toward the opinion that is shared by the majority of people, even though these individuals have very low confidence levels. In fact,if many people have a similar judgment, it comforts the others following them. 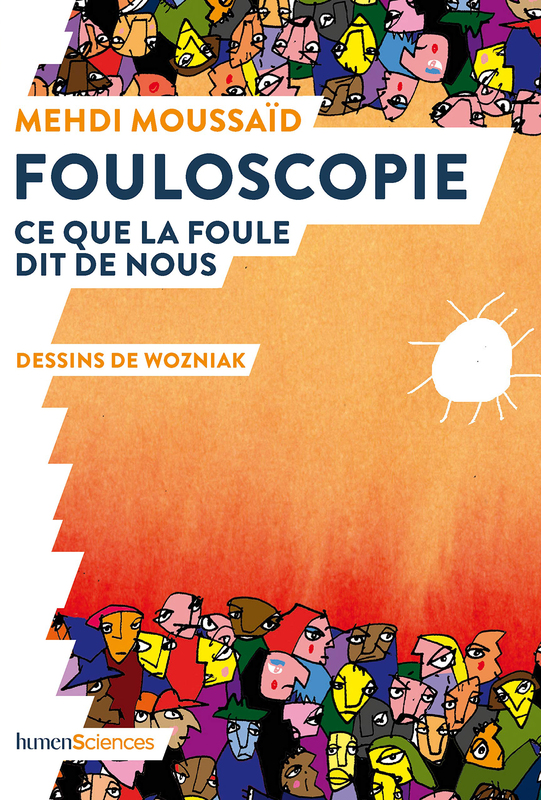 Therefore, two factors can have a significant influence during a group discussion: A few experts, or a large majority. Now the interesting question is: What happens when both attractors are simultaneously present in a group? 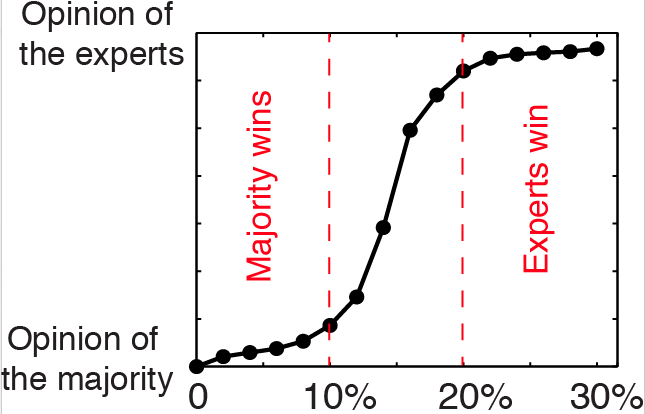 If the group is constituted by less than 10% of experts, the majority wins. 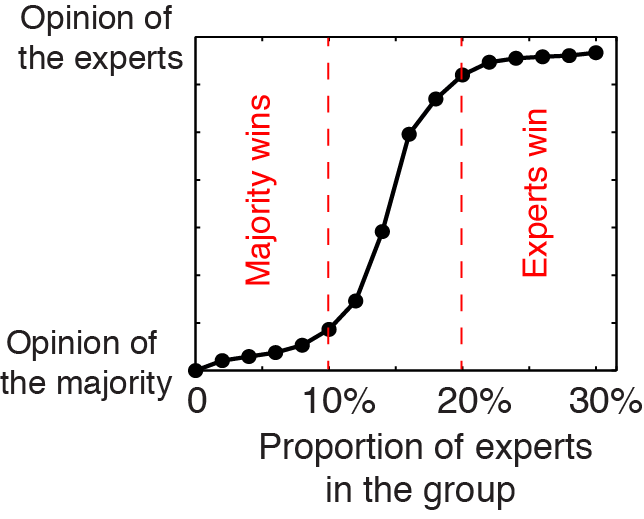 When the proportion of experts is higher than 20% they manage to attract all the others. In between, a conflicting situation occurs, in which the group split in two clusters. Therefore, if you’d like to convince a group of 20 people, you would need at least 4 of them expressing a their judgment with high certainty.